Beside our standard 20 tooth 5mm bore gt2 pulley on the left of the picture. RobotDigg provide Ultimaker gt2 pulley 20 tooth 5mm or 6mm bore as well on the right of the picture. 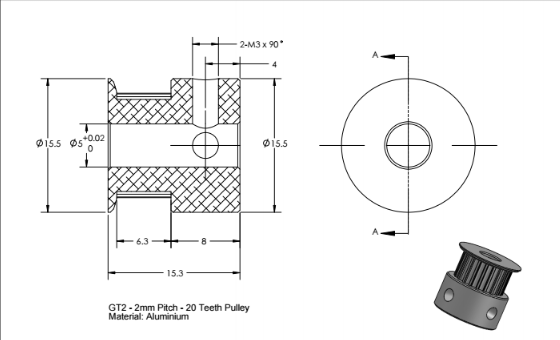 Both are GT2 20 Teeth Pulley for 6 to 7mm wide gt2 belt. GT2 pulley on the right is more likely the CoreXY Pulley. 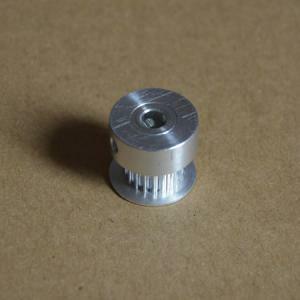 BUT if you need GT2 20 Tooth 5mm Bore Pulley for your CoreXY Design please let us know we have special offer for this. 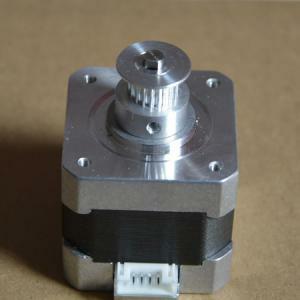 Other tooth number and bore size Custom CoreXY design GT2 Pulley can be manufactured.